20 April 2017 – Jabra today announced the launch of the Jabra Speak 710. The premium, portable speakerphone, which is designed for professional and personal usage, ensures great sound for conference calls and music. The Jabra Speak 710 is the first truly professional and personal conferencing device for business leaders and C-level executives. It boasts an Omni-directional microphone for up to six ‘in room’ attendees, 15 hours of battery life, superior Unified Communication experience and a HiFi grade speaker for crystal clear conversation and music. With more power than ever before, the Jabra Speak 710 comes in a small, compact design, with an integrated folding stand for extra flexibility. Connect to a smart device or laptop in seconds by using Bluetooth, a USB or for PCs, the enclosed dongle. Once connected, users will have a 30-meter range for laptops or 10-meter for smartphones. Bringing a plug-and-play, easy-to-use speakerphone experience with premium audio to offices and small conference rooms, the Jabra Speak 710 works with all types of smart devices. Effortlessly switching between music and calls, the Speak 710 can become a powerful music speaker. Simply connect to an online music streaming service or music library on the mobile device. “People are increasingly choosing light-weight and compact products that provide portability and ease of use. Research has shown that the majority of conference phones are actually used for personal use1. The Jabra Speak 710 offers extended mobility and combines it with an immersive audio and true music experience. 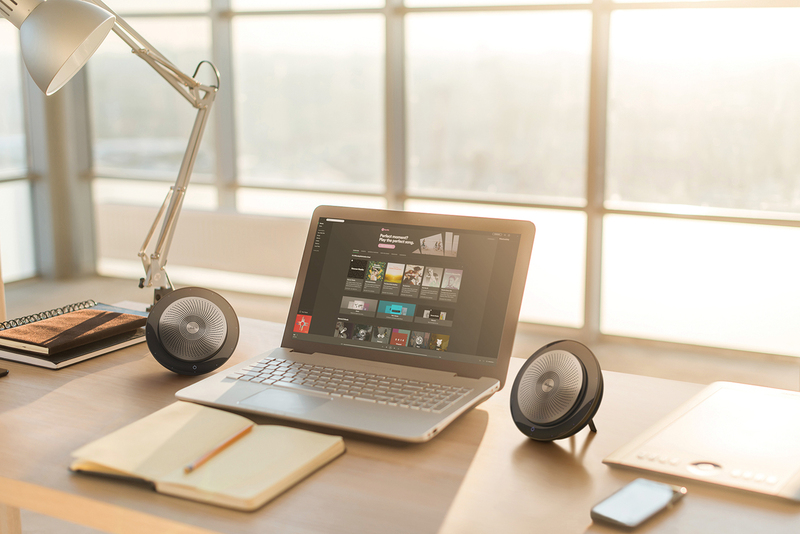 This makes the device the perfect partner and music companion for business leaders and C-level executives,” states Holger Reisinger, VP for Business Solutions at Jabra. The Jabra Speak 710 retails at RM1,750 / ~US$ 388 excluding GST. Next : Study : People Will Sacrifice Personal Photos For Just 10 Euros!